Bacopa monnieri is a promising nootropic for studying, learning and knowledge retention. Are you a stressed out student prepping for exams? Or maybe you’re a voracious learner who is always trying to acquire new knowledge. 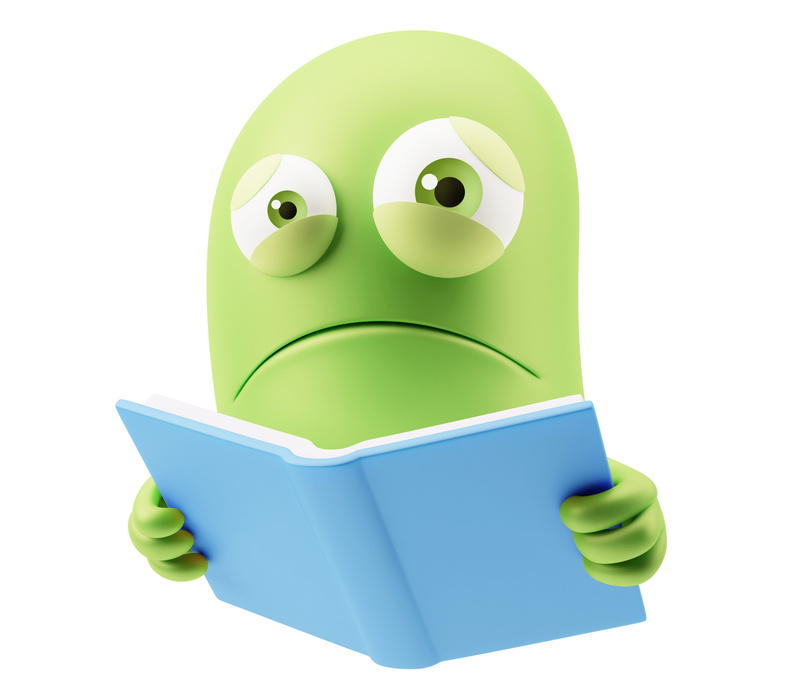 Either way, this review talks about a nootropic that might be perfect for you: Bacopa monnieri. One of my favorite natural botanical nootropics, Bacopa monnieri can benefit anybody’s brainpower, not just the students and learners. But learning is the main point of interest here, since Bacopa has a legendary reputation and centuries-old association with knowledge retention that is actually validated by some modern research. TL/DNR: Bacopa’s active nootropic bacosides help to protect the brain from free radicals and boost acetylcholine (and maybe GABA and serotonin, too)—brain chemicals tied to focused thinking, clear memory and a positive mood. Bacopa monnieri is popular for learning and memory, and seems to promote “quick thinking” cognitive performance under stress. It may have mood-balancing effects that help with clear and calm thinking, and is well suited for fighting age-related cognitive decline — making it one of the most versatile nootropics. Let’s review Bacopa monnieri in more detail. Is Bacopa Monnieri a Good Nootropic? Bacopa monnieri is a creeping herb, also known as “water hyssop,” that grows in wetlands and marshes. Its leaves and seeds that have long been used in India for health benefits, especially in Ayurvedic practices. Within this wellness system, Bacopa is classified as one of the “Brahmi” herbs associated with cognitive enhancement and higher states of consciousness. Bacopa monnieri has been widely studied, with several well-designed studies that seem to back its uses for mental performance. As an adaptogen herb, it also has anti-stress activities that seem to increase its value for students and professionals. “Big deal,” you say. “There are plenty of antioxidants that can protect the brain.” This is true, and The Geek won’t argue with that. But Bacopa monnieri is special. 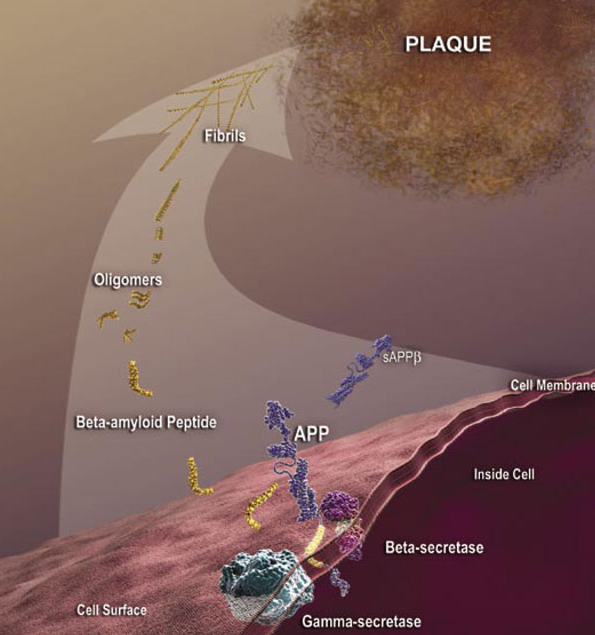 Its active nootropic bacosides are antioxidant compounds that work on their own, but also appear to regenerate “super-antioxidant” enzymes superoxide dismutase (SOD) and glutathione peroxidase (GPx). Researchers have noted Bacopa seems to exert its antioxidant activity in the brain’s frontal cortex and striatum, but not in the hippocampus. Bacopa monnieri has been studied for this brain benefit specifically, albeit in animal research only. One such study on rats found that Bacopa monnieri supplementation appeared to boost blood flow to the brain by 25%. This would be an amazing benefit if it proved to translate to human brains. In a mouse study model, Bacopa monnieri has been suggested to reduce beta-amyloid levels in the brain, in cases where degeneration was already present. Researchers concluded that Bacopa monnieri may be a potential therapy in these cases of age-related decline. 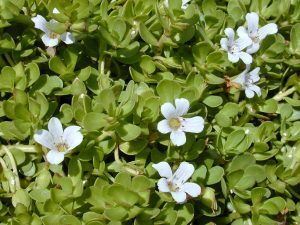 Some research seems to backs Bacopa monnieri’s reputation as a stress-fighting adaptogen herb. One animal study in particular reported stress-modulating effects that led researchers to suggest Bacopa monnieri seems to prime and prepare the brain for better performance under stressful, adverse conditions. In one animal study, researchers noted that Bacopa monnieri is known for its antioxidant properties, anti-anxiety affects, and ability to enhance memory retention in cases of brain degeneration. These researchers tested a standardized Bacopa monnieri extract within a model of rat depression, and found that the herb had significant antidepressant activity that appeared to rival some synthetics (don’t tell Big Pharma that The Geek said that). Mortar-and-pestle preparation of Ayurvedic herbs in combination. Researchers found the blend significantly improved memory performance and new learning in the younger specimens, while apparently reversing memory loss in older specimens. Though not a standalone Bacopa monnieri study, I find this one interesting due to the researchers’ enthusiasm for the blend. They attribute its nootropic effects to antioxidant, inflammation-modulating, neuroprotective, and brain chemical activities. For me, this supports Bacopa’s “multi-tasking nootropic” reputation. This study also makes me intrigued about the other herbs that were administered in combination with Bacopa. To be honest I’ve never heard of any of them except for the black pepper, which is an awesome absorption-booster with fat-burning properties. Supplement makers claim that Bacopa monnieri helps with memory, mood, concentration and focus. Occasionally you might see a claim related to learning and knowledge retention, which seems to be the most evidence-based claims to make. If you ask me, Bacopa monnieri is one of the most promising overall nootropics, in both the botanical and synthetic realms. 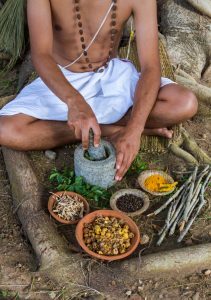 When an herb has been used in traditional wellness practices for hundreds of years and has the backing of modern research for those same ancient uses, I pay very close attention. Bacopa monnieri has brain-boosting bioactivities that are backed by abundant animal research and a few decent human studies. This is an all-around brain booster that helps in many ways, but may be most noticeable in mental performance related to academics and learning new skills and knowledge. In this study, patients with a mean age of about 65 years who were in degenerative brain decline were given 300 mg of Bacopa monnieri as a branded standardized extract, 2X daily, for six months. Researchers reported that Mini Mental State Examination Scale (MMSES) conducted throughout the study revealed significant improvements with Bacopa monnieri supplementation across multiple measures of mental performance, including attention, language and verbal ability, and orientation of time place and person. Take some Bacopa, guy… don’t stress. Bacopa seems to help with the stress, studying, knowledge retention, learning, memory and recall demands of academic life. In this study, healthy volunteers were given 300 mg of Bacopa monnieri or placebo every day for 12 weeks. Subjects were administered a range of mental performance tests during the study and at its conclusion. Researchers reported that the Bacopa monnieri supplements significantly enhanced multiple measures of mental performance, including memory consolidation, speed of learning and speed of mental processing. It also seemed to help with anxiety. Researchers summed this up by saying that Bacopa monnieri may improve higher order cognitive processes. Did you know? Bacopa may be useful in thyroid health applications. Bacopa’s potential may extend far beyond brain effects: One animal study (male mouse model) found that of 3 herbs tested, Bacopa monnieri was the only one found to stimulate the thyroid gland. In fact, researchers reported that Bacopa may increase T(4) concentration by 41%, and went on to suggest it may have potential as a therapy for hypothyroidism. Bacopa monnieri dosages in human clinical research seem to range from 300 mg to 450 mg per serving, usually supplying it as pills or capsules, but sometimes as a liquid extract. The best studies seem to use standardized Bacopa monnieri extracts that supply an exact level of bacosides, usually between 25% – 45%. In other reviews, I saw that one Reddit field report used a “super dosage” of 800 mg of Bacopa (also standardized to 45% bacosides, which is a LOT in an 800 mg serving), which the reporter claimed amplified its nootropic effects. I’m not on board with that though, and suggest you start with dosage of 300 mg. If you want to go bonkers with super-dosing, increase dosage gradually to assess how the intake effects you in increments, and be sure to use a high-quality standardized extract. 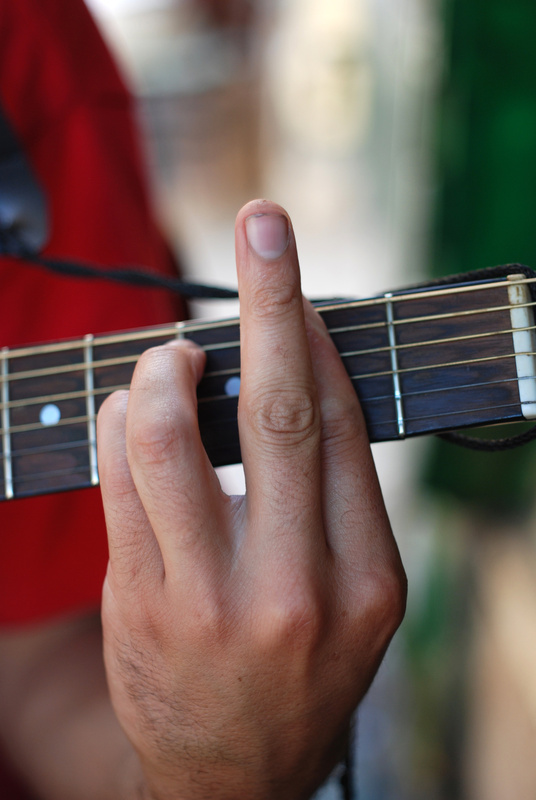 I sometimes up my Bacopa intake when trying to memorize stuff, like guitar chords to songs I am learning. Not flipping you off here, I promise — that’s an F# minor chord. By now it is probably pretty clear that I am a big fan of Bacopa monnieri. I take it every day as part of a nootropic stack. Because there are a lot of nootropics in the stack I sacrifice a bit on the dosage; it’s in the 100 mg to 200 mg range. But it is standardized to a high 45% potency of bacosides, which helps compensate. So why do I take it? I am no longer in the classroom, so I primarily take Bacopa monnieri as a “maintenance” nootropic. But The Geek is a Student of Life. At times when I feel I need Bacopa’s unique benefits, I will double up on my stack, and sometimes I will even add a standalone Bacopa monnieri supplement as a booster. This is usually during times of intense work deadlines where I’m stressed out and need to stay sharp. I find that Bacopa monnieri helps create a good mindset for times like these; my memorization seems to stick better and the overall feeling I get is like a mild “calm clarity”, but without any type of sedation or mellowing out (unlike L-Theanine, which mellows me out real nice). I also find that for me, Bacopa monnieri helps create a mindset that is good for competition, like video gaming, tennis, Scrabble, whatever. But hey, I’m a Geek. And I like to win. That means even if I’m playing you at checkers, even if I am playing you at tic-tac-toe, I WILL try to memorize your strategies and patterns during that game, remember it for the next time we play, and strategize to counter those patterns throughout. I think Bacopa monnieri is great for the dual short-term/long-term memory demands of competitive games: It helps you stay calm and strategize effectively when competition gets hot, and helps you learn from your victories and defeats post-game. 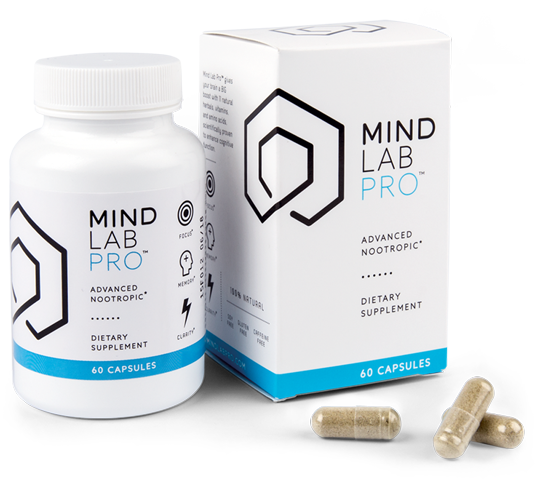 As a nootropic, it is really well-suited to anybody who wants to get that little mental competitive edge. Bacopa monnieri is to nootropic brain health supplements what Tribulus terrestris is to testosterone boosters — that is to say: Bacopa is one of the most popular herbal ingredients in nootropic stacks (if not the most popular). Except unlike Trib, Bacopa actually works for what it’s intended, and in more ways than one. But you don’t want just any ol’ supplement that carries this stuff. You want the BEST nootropic supplements with Bacopa monnieri. 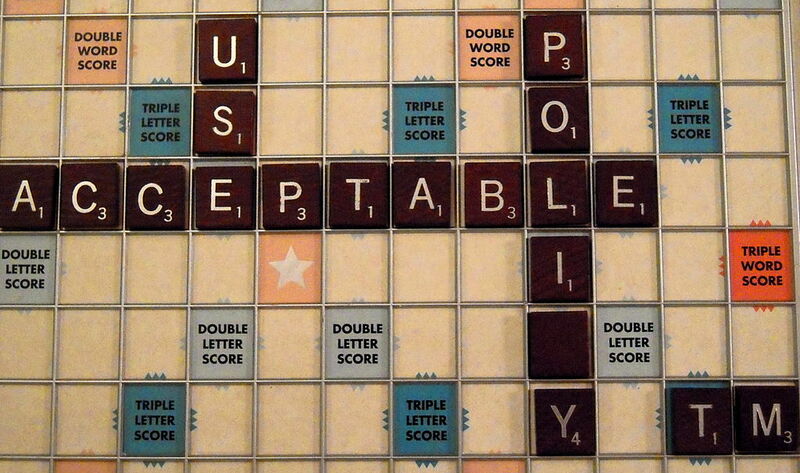 And, well, if you want my opinion on what those might be, keep reading. Most Bacopa extract supplements supply a limited spectrum extract of Bacopa monnieri’s bio-active parts. 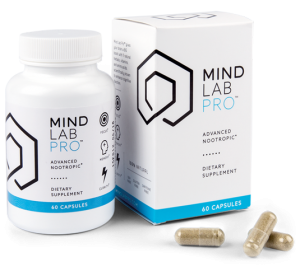 Mind Lab Pro delivers an enhanced standardized extract as well as ten other powerful, high quality nootropic ingredients, such as citicoline (as Cognizin®) which only further supports Bacopa monnieri’s cholinergic potential by supplying raw choline for acetylcholine synthesis. REVIVE – amino sleep enhancers for mental recovery. Of the three, THRIVE contains Neurogenika’s Bacopa monnieri extract at a potent 50% bacosides, 300 mg. By supplying only three herbal extracts in THRIVE’s two caps servings, Neurogenika manages to deliver fairly hefty servings of its nootropic botanicals — of course, at the expense of nootropic diversity. Even so, Neurogenika supplies an awesome Bacopa extract for memory and learning performance. However, at that potent standard, I’ll taste worse. It’s due to the powder scoop format of Beyond Raw Chemistry Labs Nootropic that this supplement has any taste at all. 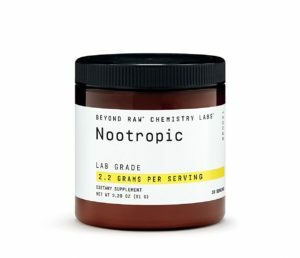 And thanks to this supplement’s powder scoops, Beyond Raw Chemistry Labs Nootropic can fit several nootropic ingredients, each dosed adequately and in high quality forms, in each serving. And Beyond Raw Chemistry Labs Nootropic pairs Bacopa with Huperzine-A, another cholinergic acting nootropic, further increasing this stack’s acetylcholine boosting potential. 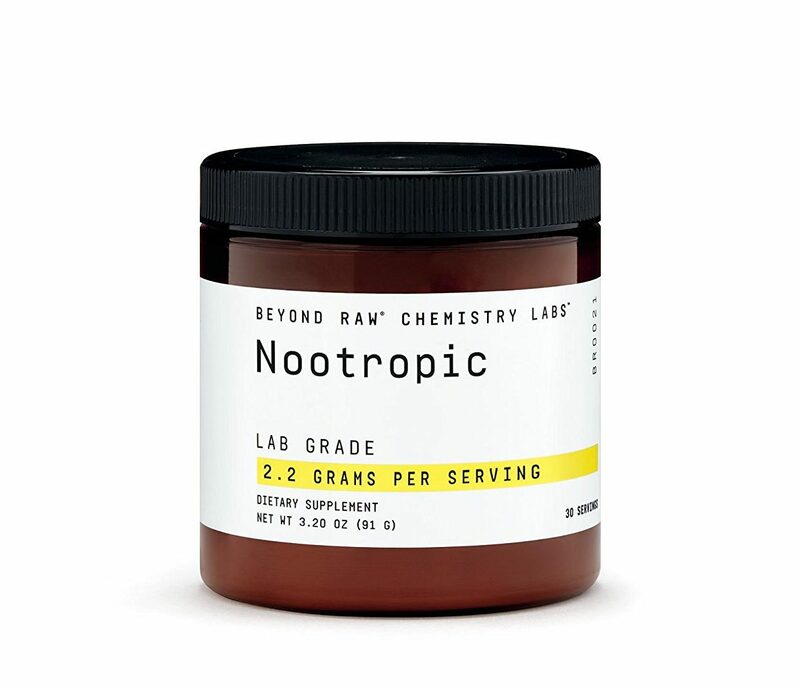 Read my in-depth review on Beyond Raw Chemistry Labs Nootropic. 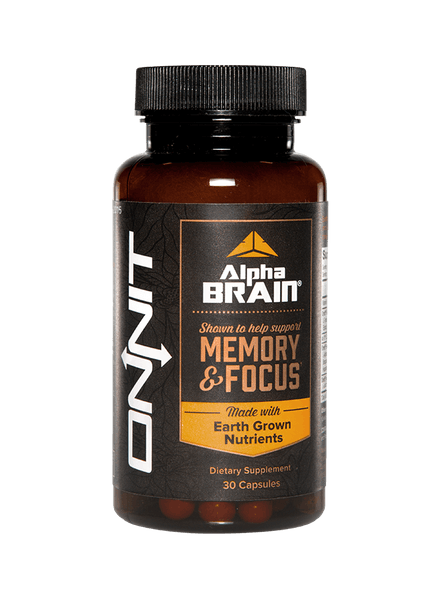 Alpha BRAIN (or better yet: Alpha BRAIN Instant — which supplies the same formula, except more for fewer dollars) is best known for its Onnit brand label, made famous by the likes of dimply Aubrey Marcus and ape-man Joe Rogan. However, for us nootropic geeks, Alpha BRAIN stands out not for its label for its contents. 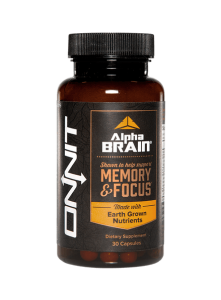 And, to be frank, its contents aren’t the best on the nootropic market, but they do offer a few impressive cognitive enhancers, including Onnit’s own ac-11® Cat’s Claw extract, L-theanine, and, yes, Bacopa monnieri extract. And similar to Mind Lab Pro, Alpha BRAIN pairs its Bacopa monnieri with a choline donor: Alpha-GPC — which has a higher choline density than citicoline. (Although citicoline is still the superior choline nootropic option for its cytidine extension.) Together, Bacopa and Alpha-GPC (and Huperzine-A) may theoretically elevate the brain’s cholinergic learning potential, as well as the body’s neuromuscular activity. Not too shabby. I say HECK YES. Bacopa monnieri is a must-have nootropic for any brain boosting regimen. This is because it seems to work in so many different ways, affecting many different types of thinking, and apparently supporting long-range brain health just as it supports mental performance right now. These are the hallmarks of the best nootropics on the planet, making it easy to recommend Bacopa monnieri.